TV One is serving up some crime for the holiday season. This week, the network announced it will be adding a new true crime series to its Monday night lineup, Justice By Any Means. The reenactment series premieres on December 7th. SILVER SPRING, MD – NOV. 23, 2015 – Adding to its successful crime and justice franchise on Monday nights, TV One announced today the premiere of Justice By Any Means on Monday, Dec. 7 at 10 p.m. ET. The one-hour reenactment series will be hosted by Faith Jenkins of the nationally syndicated arbitrations-based court series Judge Faith. Following in the tradition of TV One’s popular series Fatal Attraction and For My Man, Justice By Any Means is an inspiring true crime series profiling heroic Black men and women who stopped at nothing to unravel mysterious crimes and find justice for a loved one. The show plunges viewers into first-person accounts of these brave individuals as they launch their own investigations, immerse themselves in dangerous manhunts and meet face-to-face with the suspected assailants – all in the name of justice. What do you think? Do you watch TV One? Will you be watching this new true crime series? More about: Justice By Any Means, Justice By Any Means: canceled or renewed?, TV One TV shows: canceled or renewed? stay strong and continue fight Justice will Prevail! Help us fight for Justice for Murder of Robert L.Clay Sr.
Its Never To Late for Justice And The Truth! One! I support this station in all they’re doing and or trying to do for our African American communities…. full investigation done I believe Justice By Any Means will help lots of familys.We will continue fight until Justice prevail! Cheryl your cousin Robert was such a good guy. I still remember the day he was found MURDERED! This case should’ve been reinvestigated & reopened a long time ago, how about it never should’ve CLOSED! Cheryl is there an ongoing petition or something that I can sign to join in with your family & friends to help pressure SOME PERSON to look into Robert’s death? Hello thank you for the support May 16th 2016 will be 11yrs Murderd Robert Clay Sr.my family will continue to fight for JUSTICE! I will watch for sure because i’m one of the Actors. I will watch because they have some awesome actors in those shows. Especially the actor “Henry Louis Adams”. I saw him in a couple of the Fatal Attraction shows. I follow his career and will continue to watch as long as the acting is on point as his has been. 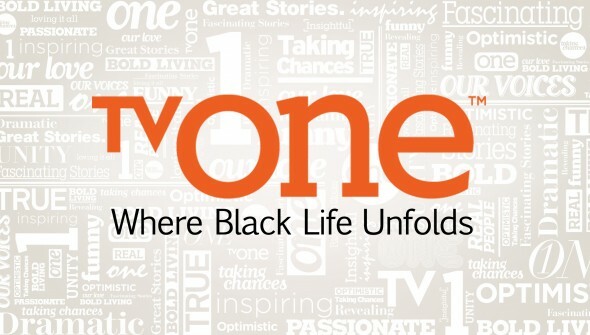 I am excited for TV One.